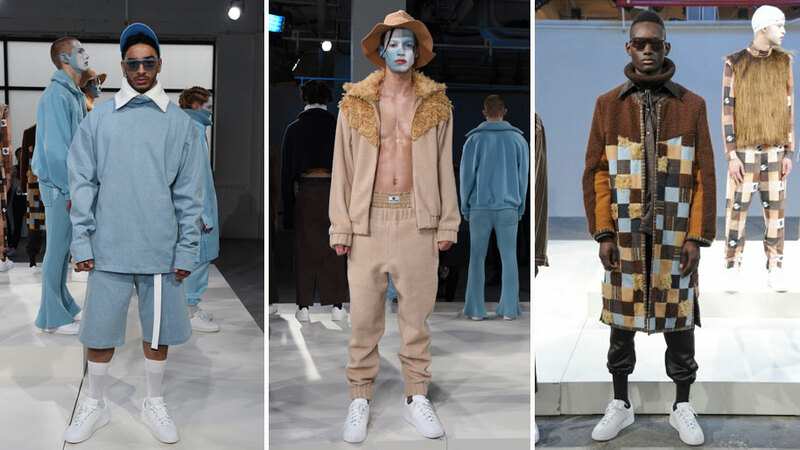 Unique and creative design departures from the conventional continue to surprise this week during the New York Fashion Week: Men’s shows. 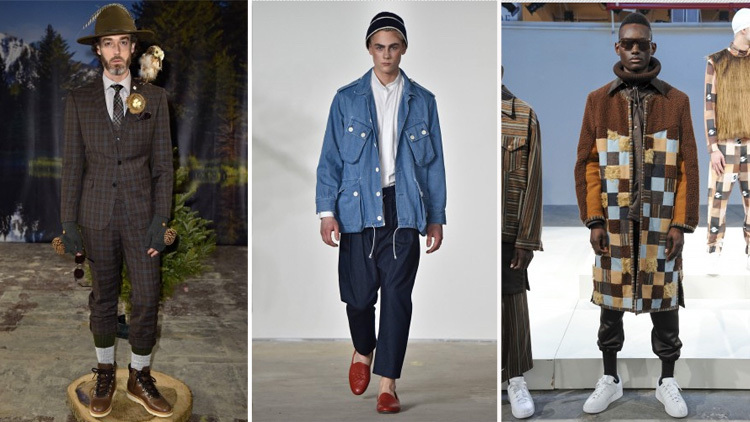 The men’s-focused fashion week is only in its second year, but these menswear designers obviously think it’s not necessary to play it safe, regardless of an industry full of historical undertones and a motivation to sell. Making bold, unsubtle statements, the unique approaches of the Nick Graham, Gypsy Sport and Palmier du Mal certainly whet the industry’s appetite. Nick Graham F/W 2016. Photos courtesy of Council Of Fashion Designers of America/cfda.com. 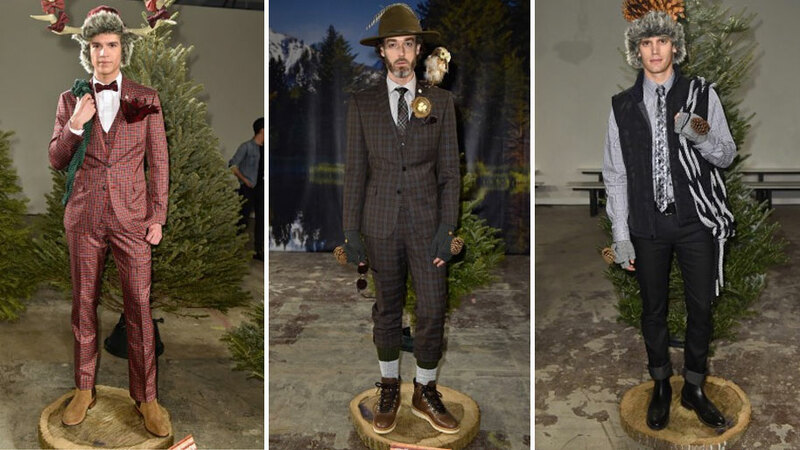 Designer Nick Graham broke out of the mold with his highly accessorized staging, adding garlands, stuffed birds, heavy climbing ropes and tree branches to his array of the styles. Some fashion insiders say it is a step too far, others are applauding the artistic approach. The presentation steps out of the box with Swiss-alpine influences, but the question remains, would anyone ever actually consider wearing one of these headdresses? Underneath it all, the tailored jacket and simple button vest attires are tailored to perfection, and patterned suits appear taken from another era, evoking nostalgia for old school ski vacations. Gypsy Sport F/W 2016. Photos courtesy of Council Of Fashion Designers of America/cfda.com. Gypsy Sport brought an aboriginal feel that made viewers do a second take. Makeup clad and shirtless models stood with patterned belts, long skirts, chambray shorts and oversized sweat pants. 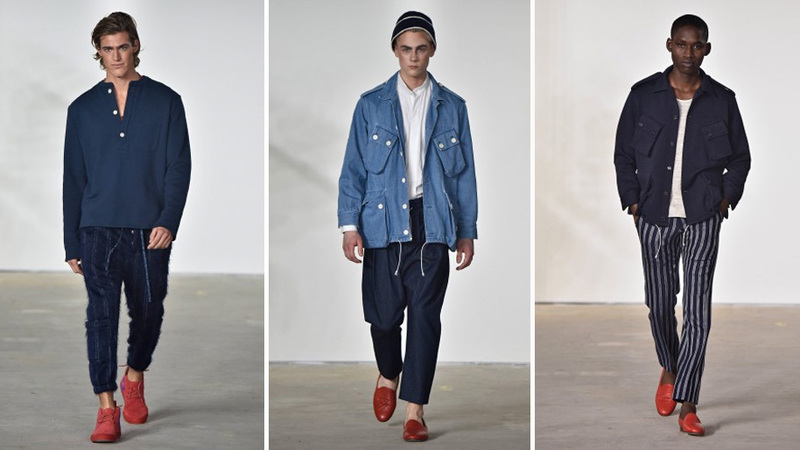 The powder blue colors spoke to the designer’s love for fusing his fabrics into an athletic and casual urban feel. Known for casting street models, the brand has an authentic approach, speaking to current cultural happenings without polarizing viewers. Palmiers du Mal F/W 2016. Photos courtesy of Council Of Fashion Designers of America/cfda.com. 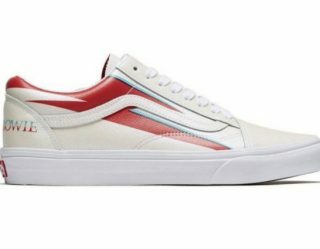 Palmiers du Mal stepped out with a crisp fresh and clean approach to defined separates, somehow lending it all a retro feel. Both women and men strolled in tailored but laid back pin-striped suits. Adding other very subtle updates to the “jean jacket” look and other multiple jackets with large pockets, the collection displayed a utilitarian but relaxed approach.